We were established in 1985 as a support group by people with acquired brain injury (ABI), their families and therapists in Rookwood Specialist Rehabilitation Hospital to address the lack of support available to families on discharge and the isolation they could experience. We have grown and evolved over the years in response to the changing needs of the ABI community living in South East Wales. From our premises in Rookwood Hospital in Cardiff, we run our 5 day a week Independence and Wellbeing Centre, Information and Outreach, Welfare Benefits and Counselling Services, and monthly Family and Friends group. We also reach out into the community. Our Information and Outreach Officers visit people wherever needed and we run weekly social and activity groups that meet in various locations in Cardiff and Pontypool. To promote understanding of all aspects of acquired brain injury and to provide information, support and services to people with acquired brain injury, their families and carers. • To increase awareness and understanding of acquired brain injury (ABI) and its consequences. • To provide information and support for people with ABI, their families and carers and professional people. • To promote improved approaches to brain injury screening, acute care, assessment, rehabilitation and community reintegration. • To assist people with ABI to maximise their independence. • To support those with ABI so that they can attain the highest possible quality of life. Headway Cardiff & South East Wales help people affected by acquired brain injury to rebuild their lives. Acquired Brain Injury can happen to anyone, anywhere at any time. Lives can be changed in an instant. 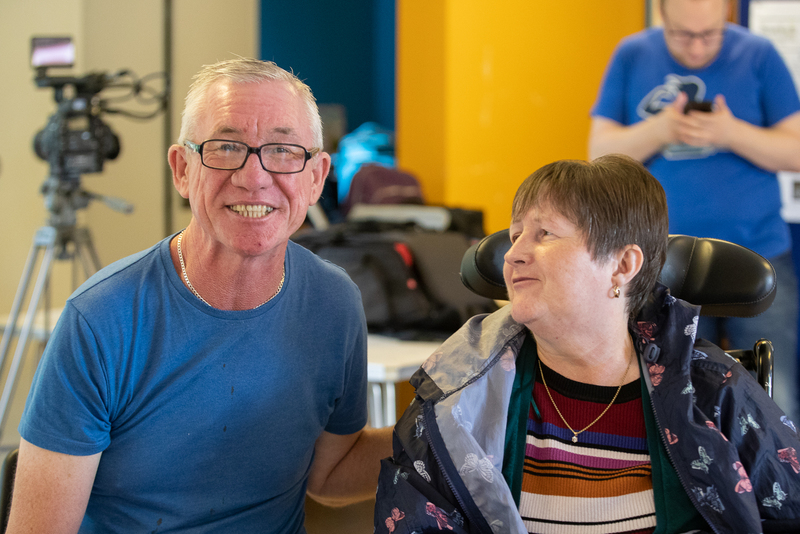 At Headway Cardiff & South East Wales we support individuals with Acquired Brain Injury to regain their independence and help their families, friends and carers adapt to a new way of life. We offer social groups, life skills sessions, counselling, an Information & Outreach service and an Independence & Wellbeing Centre based at Rookwood Hospital.